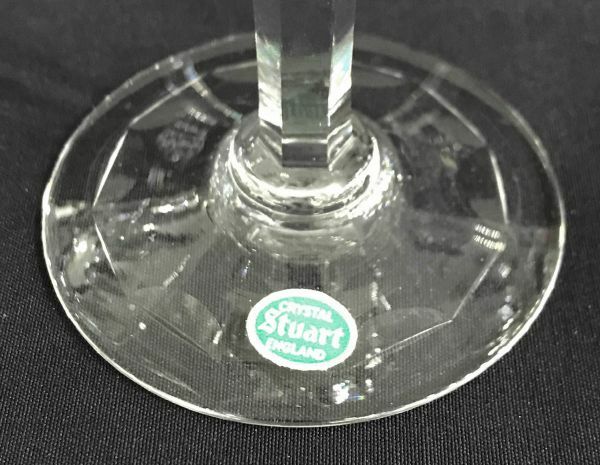 Vintage Stuart crystal champagne glasses in the Dartmouth pattern. Water goblet/claret, 6 3/8” high, $240 for a set of 4. 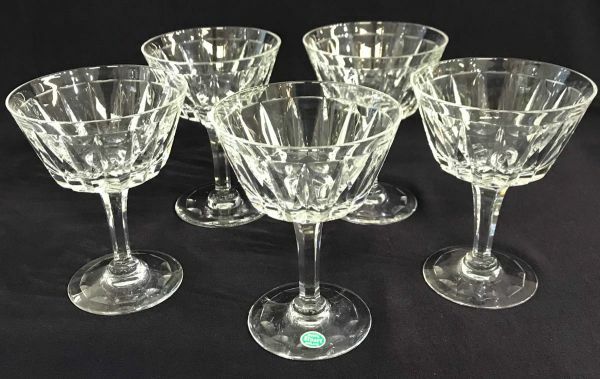 Parfait glasses, 6 1/8” high, $165 for a set of 4.